Designated an area of Outstanding Natural Beauty in 1965, the Chilterns are renowned for their extensive beech woodlands, which are especially beautiful when dressed in autumn colours. 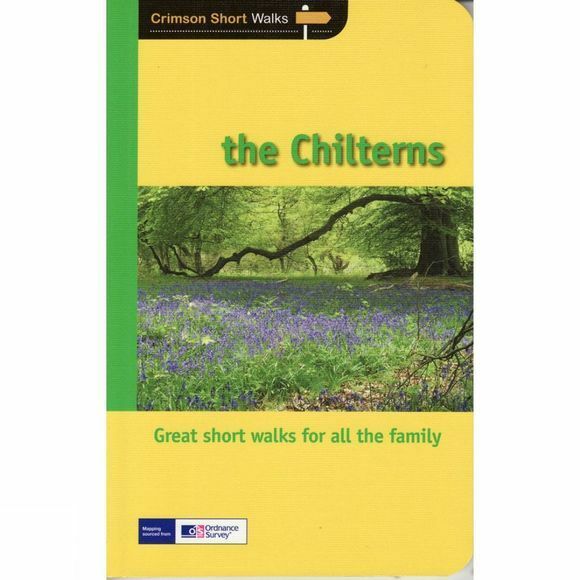 Among the woodland walks included in this guide are explorations of Hodgemoor Wood, a Site of Special Scientific Interest, and Millfield Wood Nature Reserve, near Hughenden, the home of Benjamin Disraeli. There are also routes featuring the idyllic villages of Hambleden, Mapledurham and Missenden, the Grand Union Canal, the countryside around Chequers, and the magnificent scenery of the Chiltern Hills, including Ivinghoe Beacon and Coombe Hill.